The website provides you with an opportunity to view worldwide rental listings and book some of the best holiday homes, villas, cottages, condos, chalets and apartments for rent direct from owners of vacation rentals worldwide. 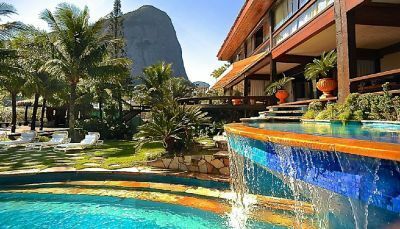 We list some of the finest holiday homes and villas in the most popular locations in the world and we would like to find time to go and visit them all if given the opportunity but we recommend that you choose where you would most like to go and book a villa holiday through us and recommend it to others or write a testimonial. We have a very good selection of high quality holiday homes, villas, and apartments for rent direct from owners who offer self catering rental accommodation to discerning visitors who want more than just a cramped hotel room. Will a holiday villa rental save money? Yes. Booking directly with the owners on the internet is very often cheaper than booking hotel rooms for family holidays. How much does a villa holiday cost? Costs vary from a few hundred dollars per week for the whole property in low season to many thousands at peak times for large family villas but the major cost for many will be flights depending on the time of year and location. We provide a list of recommended airline search engines for you to contact through our website where you may pick up a flight for a song. How should I book through the Internet? Every holiday rental property is shown with a Quick and simplae Contact Owner form to contact owner directly about their holiday rental. However, we recommend using our 'Booking and Availability Calendar' Booking form as it facilitates online communications, allows you to verify availability and prices for chosen dates and even use our online booking system if owner is registered to take hotel style online bookings. Direct contact with owners through our site allows you to gain a personal insight into their property, location and and info about special amenities that travel agents cannot provide. Can we book the whole package with you or the villa owner? We provide listings of holiday rentals direct from owners and property managers who may be able to advise you on flights, but we provide everything on a self service basis with travel pages for you to book your own flights at most convenient times, hire a car cheaply in advance or take out travel insurance etc. Other than that you are free to browse our pages to make your own arrangements or ask us to assist. What are the Holiday Villas like? We show a wide variety of self catering holiday villas and apartments to cater for practically all tastes but generally they will be well maintained, well equipped and come with all essentials such as linen, towels, cutlery and a multitude of home comforts and kitchen appliances. We are always interested in getting feedback about holiday rentals you have booked. Why should I book a Villa Holiday rather than a hotel? 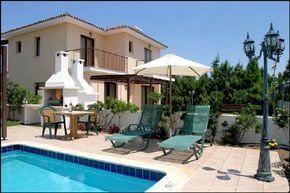 A holiday Villa Rental offers holiday makers the use of all the facilities of a luxury private home, kitchen, garden or pool area for all the family or friends to enjoy at their leisure. A fae cry from cramped rooms and facilities of the average hotel. A private holiday rental comes may come with all the modern comforts and conveniences of a private home away from home with space for adults and children to relax or play in comfort and enjoy a few days relaxing by their own pool or garden that offers a base to explore the region in their own time. 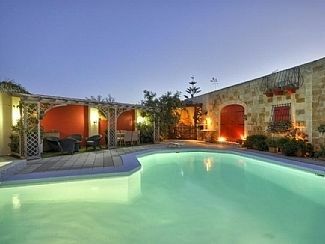 What types of holiday rentals are available? 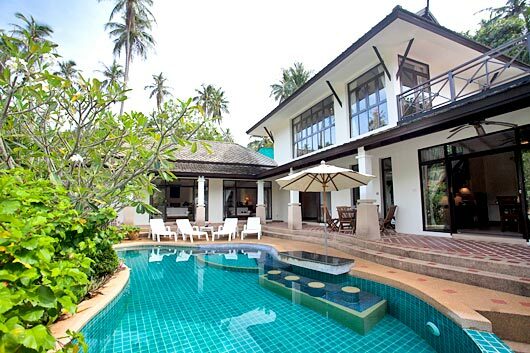 We offer holiday villas and vacation home rentals that may include a selection of luxury villas, apartments, condos, cottages, cabins, chalets, townhouses, farmhouses, barns, mansions, castles, chateaux, hotels, gites, beach houses and generally good quality holiday rentals in great locations worldwide. Contact the owner directly using the online ' Booking and Availability Calendar ' request form asking owner to confirm availability and prices. Alll booking enquiries should mention our website, the URL and the Property ID number. The Booking and Availabity Calendat form will provide you and owner full details of your booking along with costs and picture of property and may be approved online if prices and availability kept up to date. Once booking and prices are confirmed you may book and make payment direct with owner or make an online payment if prices and dates approved. You can ask for Bookings to be processed through our Booking and Availability Calendar if owner is registerd to take online bookings through our site and prices and availability has been approved. I trust that our prices will be at least 10% cheaper than those sites that charge commission! Yes. PayPal is generally one of the safest forms of online payment and all private details and credit card info etc. are encrypted to ultimate degree in transit so cannot be intercepted or seen by anyone. However individual owners will confirm acceptable ways for you to pay deposits and or accommodation. Is the list price guaranteed? The prices quoted should be confirmed at the time of booking as some prices may be subject to currency fluctuations, taxes, international or local events, additional services requested, or subject to discounts for additional weeks, so please check with owner. Do Holiday rental owners offer discounts for longer stays? Holiday rentals are usually less than 30 days and properties are let on a short term daily or weekly basis. All discounts for extended stays i.e. 10% for each additional week. 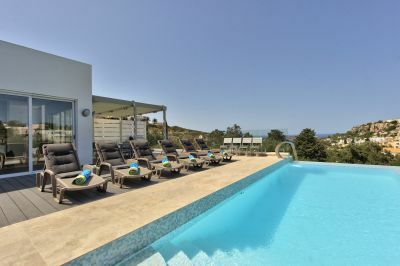 are subject to availability and special rates may be quoted by individual owners on request. Our prices are generally cheaper than those huge companies who work on a commission basis and want to treat owners properties like hotels and won't let you contact owner directly and or increase prices the way airlines do. We believe that owners should remain in control of approving bookings and giving discounts etc. Deposits vary but are generally covered by owners or property managers terms and conditions.Owner may set the amount required to make a reservation to book a holiday rental between ste dates to insure against late cancellations and revenue. Deposits may be as much as 50% with remaining balance by set date. When is the balance for holiday required? Balances are generally paid 10 weeks before arrival. If booking within this period then full payment for holiday is usually required. What are the security deposit charges for? Security deposits are generally required to cover exceptional costs incurred during your stay to insure against costs of accidental damages, breakages, excessive cleaning bills or long distance phone calls. However deposits should be returned less any charges for breakages etc. within 30 days. What are the best times to book a holiday rental? It is best to plan well in advance. Whenever it suits you best but school holidays and half term breaks are usually the busiest and most expensive times to go. In terms of seasonal weather we can provide you with various resources to check weather forecasts 15 days in advance. Do booking all start on a particular day? Most weekly rental bookings are listed from Saturday to Saturday but bookings can start or finish on any available date the owner chooses. Holiday Rentals listed on a daily rate may specify a minimum number of days and there maybe different rates for special days of the year. Are holiday homes cleaned or maintained during stay? Cleaning and maintenance is usually done before or after your stay but any extra services during your stay may be provided by agreement. What if there are any problems with the property? Holiday rental properties should have a designated property management company or person responsible for the maintenance and upkeep in the absence of the owner to ensure that any problems encountered can be speedily rectified for guests. Details about this or emergency services should be included in rental documentation and should be just a call away. Clean Linen and bathroom towels are usually provided indoors but you should look after them and use your own beach towels or those provided for sunbeds etc. How will I find the property? Full address details and clear directions should be available from owner before arrival. It is very important to have good directions or a print out of maps to and from airports if hiring a car. Keys may be obtained from the owner, the management company or by coded door or drop box at the premises. If you wish to book a too good to be true apartment in New York rather than a verifiable villa with large pool in Florida then we suggest you verify the address in other ways than just Google maps. Holiday rental prices are usually for the whole property for the whole week for the maximum number of visitors specified and there should be no hidden costs. However certain things like pool heating in winter months may incur an extra cost. Additional services may also be charged separately. How can I confirm that the property is suitable? You can contact the owner for suitability if you have any special needs or concerns for members of your party. A car is usually required to get around, go shopping or do some sightseeing. Where can we hire a good car like that? Car Hire can be booked in advanced through our online agents who have always provided us with good cars at very competitive prices. Where can we book flights? Airline flights can be booked at any time through our Flights page. Yes, All travelers should have some form of insurance to cover medical treatment, baggage loss, delayed or canceled flights. See our Travel Insurance pages for further info. Do all travelers need a valid passport? Yes. Everybody over the age of 16 not included on parents 10 year passport needs a full passport valid for at least 6 months. All children not already included on a passport including new born babies need their own 'up to date' passport to travel to the US. Travelers must allow time to get visas well in advance of traveling. If in doubt about whether you need a visa to visit any country then please make enquiries beforehand.